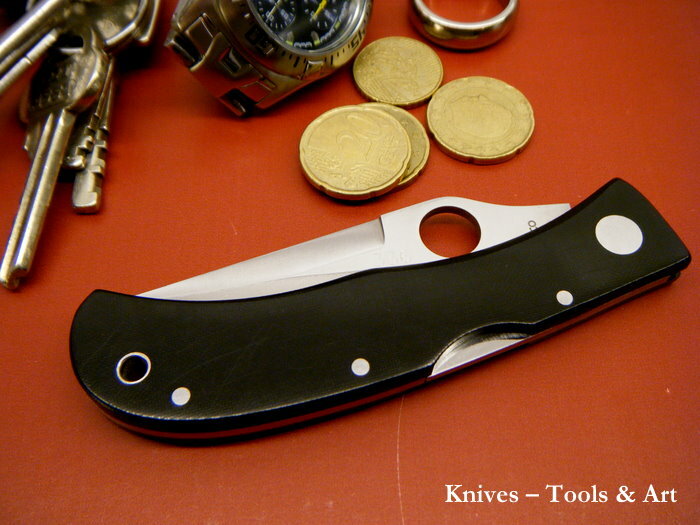 This is a high quality gentlemans folder, numbered edition, this is number 336. 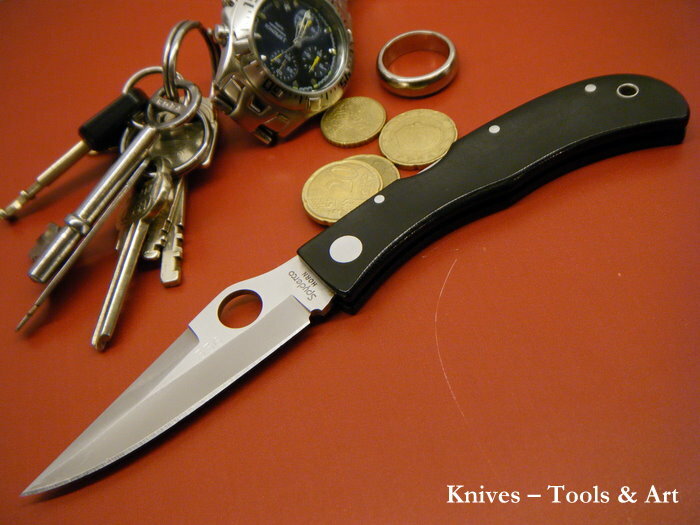 The micarta handle and the slim blade gives a high-tech yet elegant look. The Jess Horn C34 was produced during years 1995-1998. This is the regular version, a baby version (AGSP-2B) was also produced. I have removed the tip up carry pocket clip as I wanted a light and slim EDC. The AUS-8 steel gives the blade an extremly sharp edge. I think this is a excellent co-production between Spyderco and the legendary knife maker Jess Horn.